By combining access to the Swiss Foreign Exchange Marketplace with an enhanced trading platform and strong financial services via its banking partnerships, Dukascopy – SWFX Swiss FX Marketplace continues to set the global industry-standard for ECN forex trading. Dukascopy offers direct access to the Swiss Foreign Exchange Marketplace. 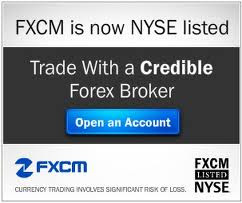 This market provides the largest pool of ECN spot forex liquidity available for banks, hedge funds, other institutions and professional traders. To accommodate the existing banking relationships of our clients, Dukascopy offers full Prime Broker capability with give up facility, by utilizing an extensive network of banking partners. The Swiss Foreign Exchange Marketplace (SWFX) is the technological solution for Forex trading utilizing a centralized-decentralized marketplace model. Its successful launch is the result of a close cooperation with selected banks, other institutions, Forex marketplaces and providers of technological solutions. The SWFX Marketplace allows trading between market participants in a centralized-decentralized environment. In this exchange, both buy-side and sell-side participants interact on an equal footing. The SWFX Swiss FX Marketplace is the Dukascopy’s proprietary technological solution and registered trademark. The Dukascopy trading platform provides an array of tools for risk management and control over the order execution. Clients may trade billions of dollars in a secure “one-click” trading environment. Support is also provided by a 24/6 trading desk if clients need to trade over the phone. 1998 Dukascopy Trading Technologies Corp. The Dukascopy project was launched in 1998 by a group of physicists headed by Dr. Andre Duka. Their mission was to research, develop, and implement a complex financial system via novel mathematical and econophysical techniques. Dukascopy commences development of its trading platform. Dukascopy was created in 2004. Its mission was to serve the financial community with its advanced technological solution. Dukascopy launches the SWFX Swiss FX Marketplace. Dukascopy launches Dukascopy Forex TV, online television providing technical and fundamental analysis to traders and financial professionals. Dukascopy commences activities necessary in order to comply with Swiss Banking requirements and to apply for a Swiss Banking Licence. Dukascopy files its Banking Licence Application to the FINMA. Dukascopy is authorised by the Swiss Financial Market Supervisory Authority FINMA to conduct banking activities. Launch of the Geneva Forex Event, a monthly meeting point to follow up on current events, to network, to establish public relations, and to be present among the elite in a relaxed atmosphere (www.genevaforexevent.ch). This application is considered to be the pinnacle of mobile trading technologies and one of the leading free applications available on the market. Dukascopy Bank SA starts its collaboration with two leading US brokers offering Dukascopy Bank SA's trading technology and data feed to US residents through FXDirect Dealer LLC and Alpari (US) LLC. Dukascopy Europe IBS AS becomes operational as a fully owned subsidiary of Dukascopy Bank SA dedicated essentially to the European retail market (www.dukascopy.eu). Dukascopy Bank SA develops its SMS notification service, allowing clients to receive SMS notifications about different types of events on their trading account or in the market. Dukascopy TV opens its new studios in Geneva. Dukascopy Bank SA opens a representative office in Kiev, Ukraine. The SWFX Trader application on Android OS allows users to trade on DEMO or LIVE accounts from anywhere in the world by connecting to the Dukascopy ECN-Marketplace. Dukascopy Bank SA creates a unique and innovative e-banking solution offered to holders of savings accounts. Dukascopy Bank SA expands its international presence by opening a representation office in Hong Kong. In line with the expectations of clients from Arabic countries, Dukascopy Bank SA announces the creation of swap-free accounts. Liquidity Focus: Through its innovative and advanced technology, Dukascopy provides one of the most important Forex liquidity networks in the world in order to provide to its clients exclusive ECN access. Clients Focus: The success of the client is the success of Dukascopy. Dukascopy deploys all its resources to understand and meet the high expectations of its clients. Industry Focus: Dukascopy raises the industry quality standard bar and develops new benchmarks for all Forex participants via its technology. Privacy: based in Switzerland, land of confidentiality, Dukascopy places great importance on individual’s rights and therefore applies strict confidentiality. Integrity and ethics: Dukascopy strives to protect interests of clients and to provide a fair trading environment where market participants act on equal footing in Compliance with Dukascopy's Code of Conduct. Security: Dukascopy has proved to be a reliable ECN over the years and additionally offers custody solutions with third party banks. Stock market is the place where traders can create an exchange in terms of profit. MCX Tips help traders to enhance their profit while trading in stock market by avoiding risk.